Following four successive away games in three different competitions, the Reds return to Old Trafford for the first time since beating Crystal Palace 4-0 on 30 September, hoping to maintain the 100 per cent home record so far this season. Jose Mourinho's charges should be confident going into the game, after continuing the defence of the Carabao Cup by seeing off Swansea City 2-0 on Tuesday night. That was the perfect response to last weekend’s surprise defeat at Huddersfield Town, which ended the Reds' impressive 10-game unbeaten run in all competitions. The boss confirmed after the cup win at Swansea that Phil Jones has declared himself available for the game, having been withdrawn at Huddersfield through injury last Saturday, while fellow defenders Eric Bailly and Marcos Rojo are thought to be close to returning to full fitness. However, there is no further news yet on midfielders Paul Pogba, Michael Carrick and Marouane Fellaini, although Mourinho could give a further update on the current injury situation in his pre-match press conference on Friday. Meanwhile, Danny Rose and Mousa Dembele could feature for Spurs after returning from injury in their Carabao Cup defeat at home to West Ham United, a game for which boss Mauricio Pochettino made seven changes, but midfielders Erik Lamela and Victor Wanyama are expected to be sidelined once again. Spurs have been enjoying a good run of form lately, recording their fourth successive league win by swatting aside Liverpool 4-1 at Wembley last Sunday on the back of an impressive performance in a 1-1 draw away to Real Madrid in the Champions League. Pochettino's men had lost just once in 13 games in all competitions this season before suffering the disappointment of going out of the Carabao Cup in midweek, surrendering a two-goal lead to lose 3-2 at home to London rivals West Ham. Despite that, Tottenham have been performing well at both ends of the pitch. They boast the division's leading scorer in red-hot striker Harry Kane, who has scored eight league goals so far, and have been typically solid at the back, with the second best defensive record in the league, having conceded just six goals so far. What's our record like against them? Historically, the Reds have a strong record against the north London club, registering 87 wins and 49 draws in 186 previous meetings in all competitions stretching back as far as 1899. In more recent times, United have won 32 of the teams’ 50 Premier League encounters, including the last three in a row at Old Trafford. Spurs have managed just seven wins and have held the Reds to 11 draws. 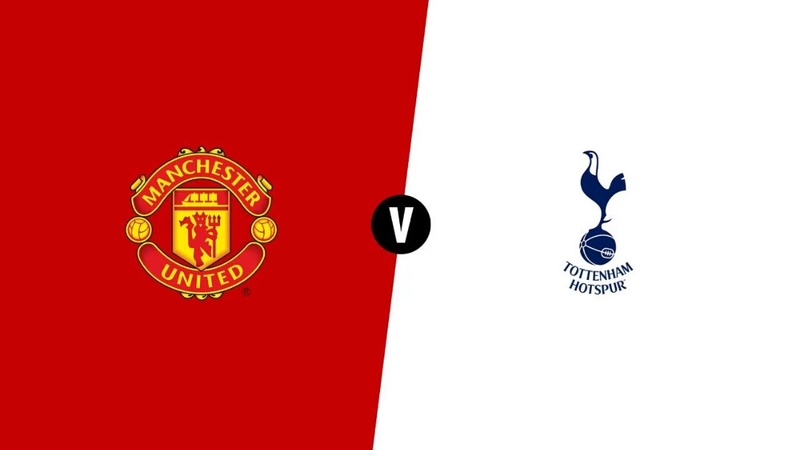 Both home teams emerged victorious last season, with Henrikh Mkhitaryan’s first Premier League goal earning Jose Mourinho's men a 1-0 victory at Old Trafford before United were beaten 2-1 in the final game played at White Hart Lane in May.